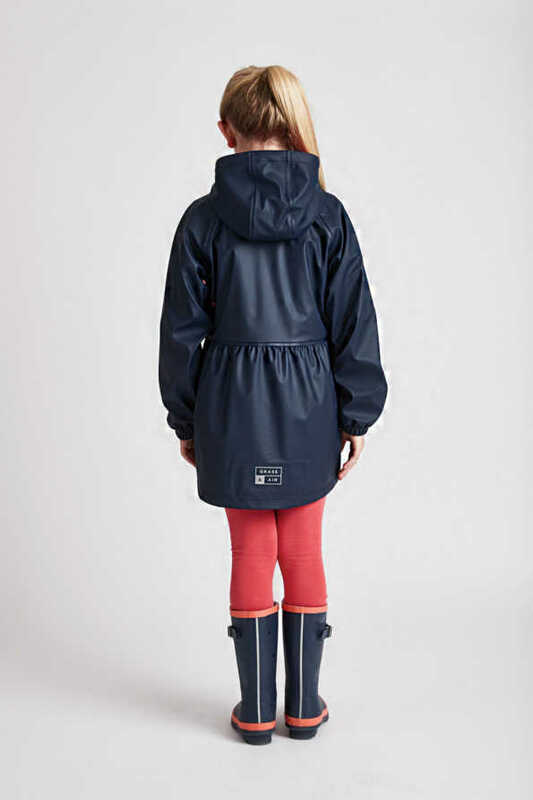 Introducing our trend-led girls navy Rainster, it’s easy to see how style and protective, kids waterproof clothing can go hand-in-hand. 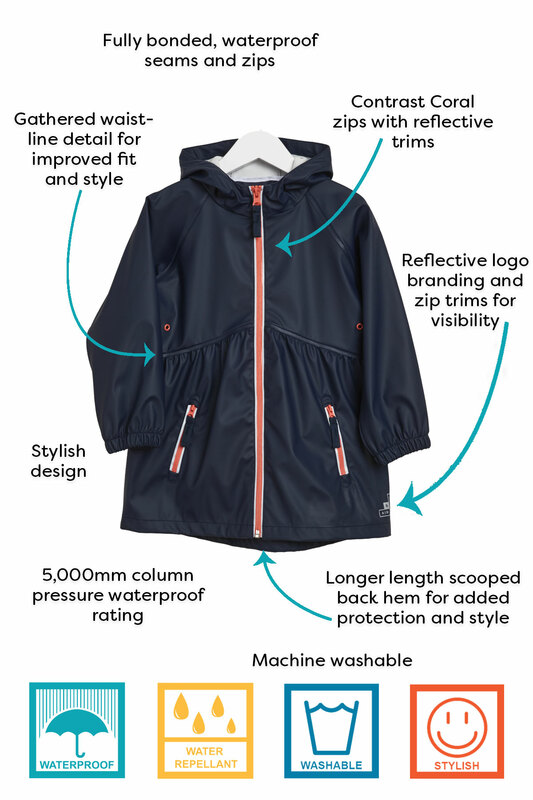 Our product design team have worked hard to ensure that our older girls navy rain mac is a raincoat that girls will want to wear over and over again. 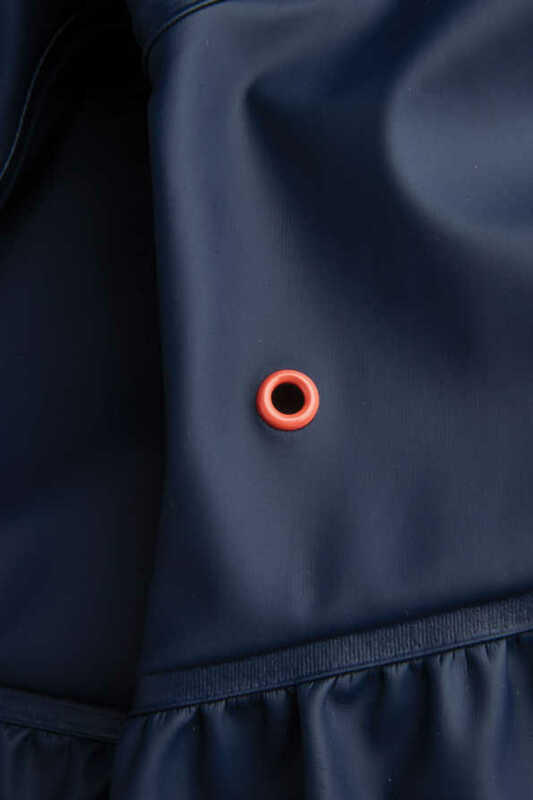 Featuring a gathered waistline design, this subtle garment detail puts a feminine twist on the classic rain mac. Available in our ‘Little Girls’ range or in turquoise. Also available in our boys range. 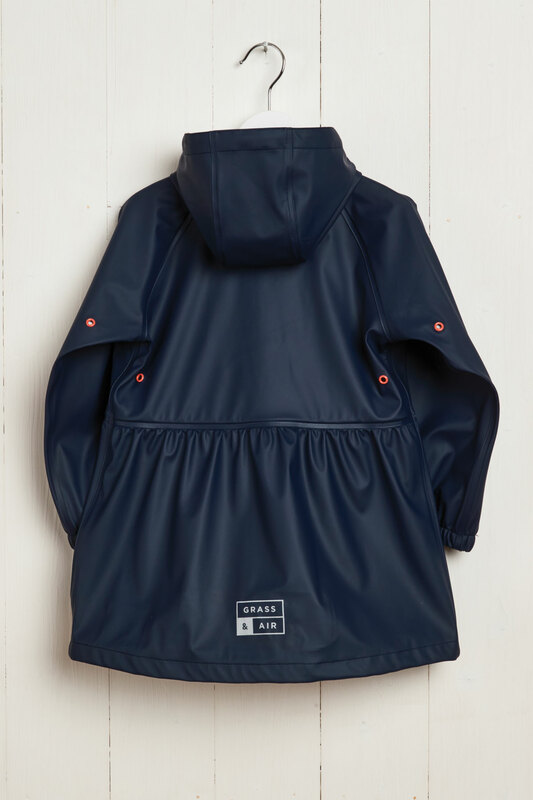 Keeping dry from the rain in a frumpy rain mac is a thing of the past. 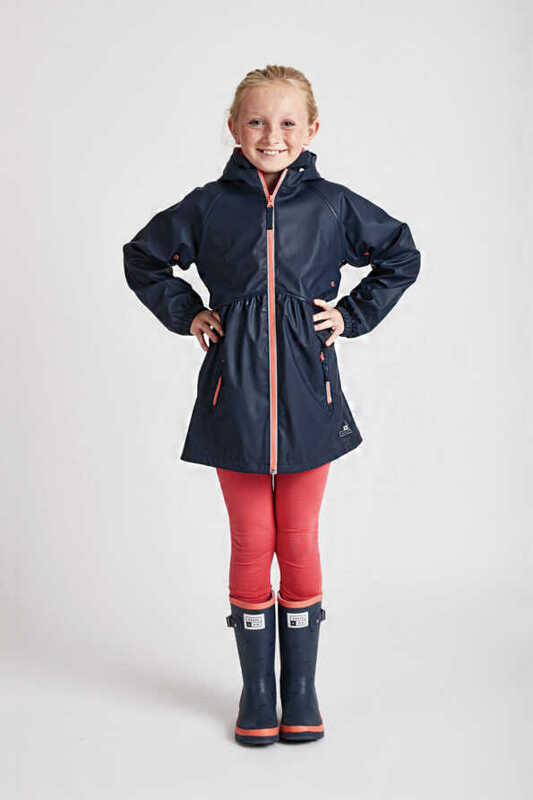 Introducing our trend-led girls navy Rainster, it’s easy to see how style and protective, kids waterproof clothing can go hand-in-hand. Our product design team have worked hard to ensure that our older girls navy rain mac is a raincoat that girls will want to wear over and over again. 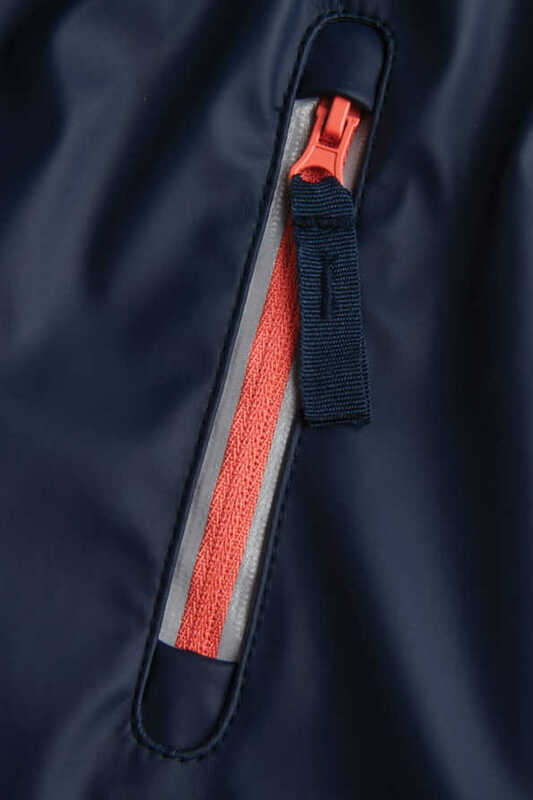 Featuring a gathered waistline design, this subtle garment detail puts a feminine twist on the classic rain mac. The girls navy Rainster also has striking contrast coral coloured zips with reflective detailing to make sure kids are seen whilst out and about on dark nights. 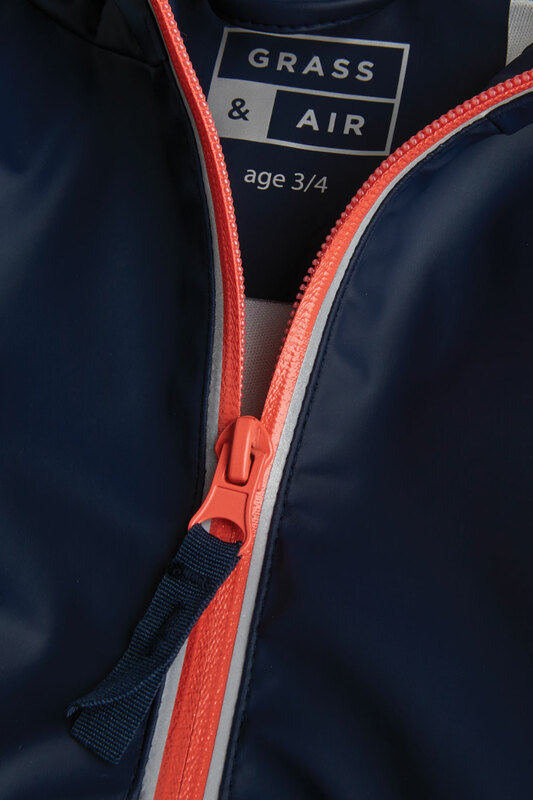 All of our kids raincoats have taped zips and seams and are waterproof up to 5000mm. 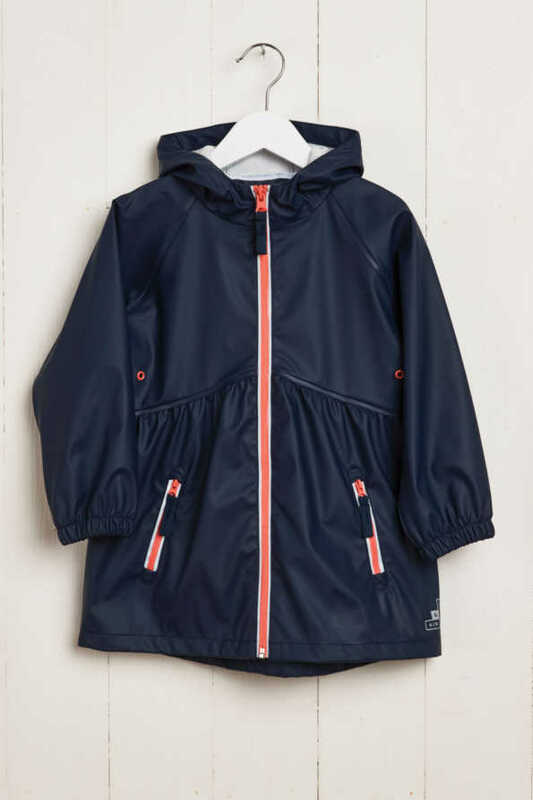 This means that even on the wettest of days, your little one will stay dry whilst adventuring in the outdoors. 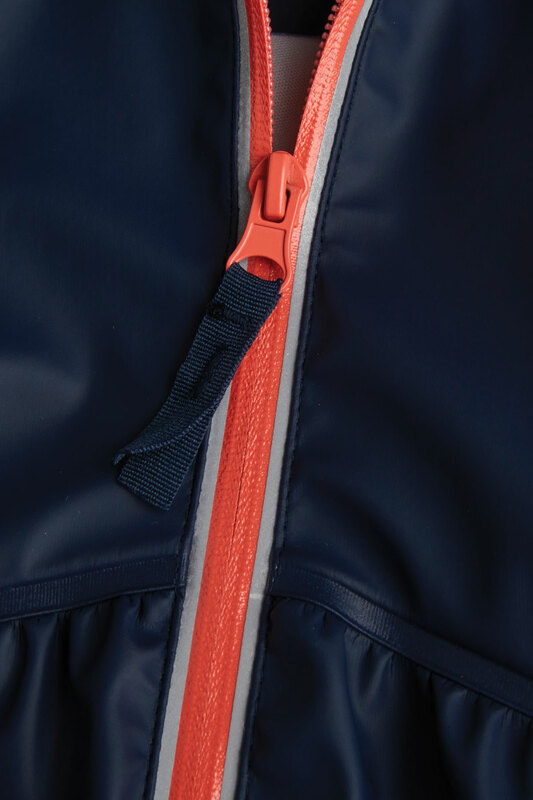 Simply add layers underneath for colder days.